Encounters with Doppelgangers Completely Inexplicable Come to My Window The Creepiest Things They Ever Saw, Period Home Sweet Home Working Alone Bad Stories of Houses for Sale The Creepiest Things Anyone Ever Overheard That Gut Feeling Was Totally Right True Life Scarier Than Any Movie Never Been More Terrified Coming from Inside the House Dang Near Scared to Death Creepy Things Seen by Truckers Witnesses to Serious Trauma People Describe When They Were Abducted Baffling Even Their Doctors Spotted at the Truck Stop Heard Live Murders Over the Phone Tales of Escape from Real Cults! You have to have pretty thick skin to work as a 911 call dispatcher, as you are the liaison between police or emergency responders and people in desperate need of help. Some emergency calls are fairly tame, but more often than not, 911 dispatchers hear some disturbing first-person accounts of horrifying violence, and possibly even listen in as these incidents occur in real-time. The public at large can even sympathize with dispatchers, as numerous clips of audio of 911 calls are available via YouTube, letting us hear all the gruesome details, blood-curdling screams, and heartbreaking pleas for help that the average emergency dispatcher hears on a regular basis. From historic events like the September 11 attacks and the Columbine massacre, to lesser-known but no less chilling crimes, here is a collection of horrifying and creepy 911 calls. Be warned: These audio recordings are quite disturbing - listen at your own risk. 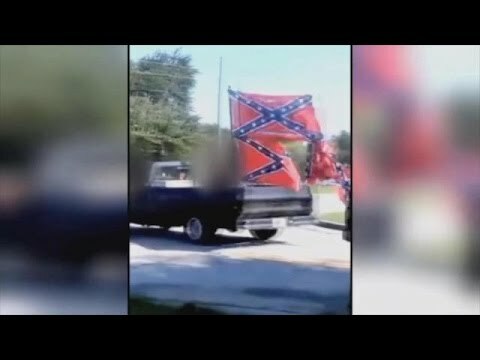 In this call, a woman frantically pleads for help as a gang of men in women in pickup trucks adorned with Confederate flags surround a child's birthday party. The gang wielded shotguns, knives, and tire irons, according to the caller, and hurled racial slurs at the party attendees. In February 2017, two of those responsible for this horrifying crime were sentenced to lengthy prison terms, much to their tearful dismay. Omar Mateen, the man responsible for the mass shooting at Pulse, a night club in Orlando, Florida, called 911 not long after committing his crimes to shed some light on his actions, which he said were motivated by the U.S. airstrikes in Iraq and Syria. Hearing this man calling other terrorists his "homeboys" as well as the clear instability in his voice is quite chilling. This terrifying phone call details the plight of a woman who had been abducted by Shawn M. Grate, who was fast asleep next to her when she dialed 911. Police were able to rescue the woman and arrest Grate at the scene, but sadly, they also discovered the remains of two other women on Grate's property. Despite this, it is lucky he did not harm the woman, and that he was stopped before committing even more crimes.